This durable 5 Litre soft bucket has measurements marked in both litres and gallons. 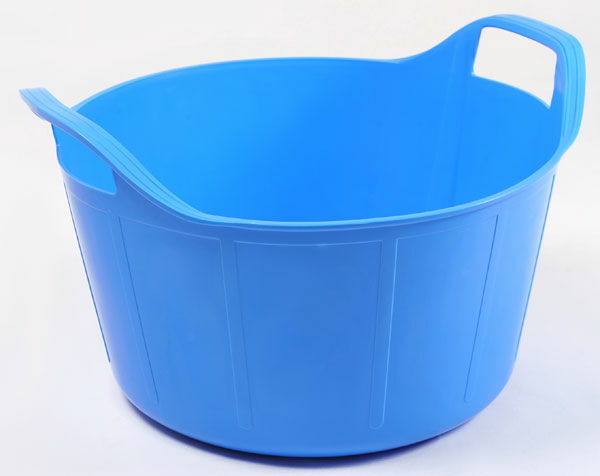 The bucket is made from a strong but flexible polyurethane plastic so it will bend and spring back rather than crack which makes it ideal for use by children and as a Calf Feeding bucket. It has a galvanised metal handle with a plastic grip. 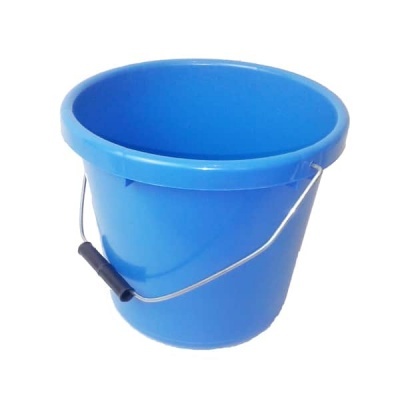 Primarily designed as a calf feeding bucket, this is ideal for many other purposes. Due to its small 5 litre capacity, the soft flexible body and proportioned handle, it is perfect for use by children. Delivery charges are dependant on size and location however we do offer FREE standard delivery subject to a varying minimum spend. If you have any questions about delivery, please feel free to contact us. We love our Rainbow Trugs and hope that you do too. However should you order an item and choose to return it, you can. Please follow the procedure below. Our returns and cancellation policy is based on the UK Consumer Contracts Regulations 2014. You can cancel an order for goods from the moment you place your order and up to 14 days from the day you receive your goods. This 14 day period is the time you have to decide whether to keep any or all the items you have ordered. You then have a further 14 days to actually send the goods back. You are responsible for the cost and risk of loss or damage when returning the goods, so you should take out enough postal insurance to cover their value. Firstly, email us at sales@rainbowtrugs.com requesting a returns number and stating your reason for return. We will email you a returns number and a specific returns address. Once we receive any items returned by you, we will process a refund within 14 days. A deduction can be made if the value of the goods has been reduced as a result of you handling the goods more than was necessary and any direct delivery costs incurred by us in fulfilment of your order. Outside of the initial 14 day period described above, returns requests due to extenuating circumstances are handled on a case by case basis, as are claims under our 12 month warranty against manufacturing faults. In these instances email us at sales@rainbowtrugs.com stating your reasons for the request or details of your warranty claim. This returns policy does not affect your rights when we are at fault. Any goods returned should be in saleable condition.